This is a rare but serious condition that causes swelling in the brain and liver. It mostly affects children and teenagers recovering from a viral infection and those who have a metabolic disorder. 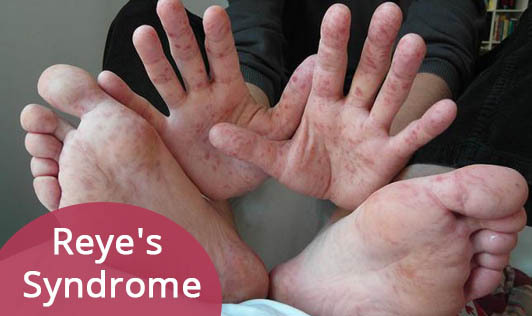 The exact cause of Reye's syndrome is unknown although there are many factors that may play a role in its development. Reye's syndrome may be triggered by aspirin that is prescribed to treat a viral infection and chickenpox in children and teenagers who have an underlying fatty acid disorder. Exposure to certain toxins such as herbicides, paint thinner and insecticides may also contribute to Reye's syndrome. Note: Never give your child aspirin unless it has been prescribed by a doctor. If you suspect that your child has Reye' syndrome, act quickly!